Company reception reflects your work culture because your clients and auditors look at your reception and waiting areas says what kind of a company is this. Think about that if you entered into office which is dark, unorganized, and cold then you wouldn’t energize & environment is like boring and lazy but if you entered into a workplace with lots of natural light, strategic organization, and fully comfortable furniture then you inspired & work more. You can also hang portraits, artworks quotes made by employees in waiting area and reception. You can also stick company outing photos, missions, goals, and values on the notice board that brings out the best results. The reception area is the only way to impress your clients, guests, and employees. If someone is waiting in the reception area for interview purpose then you not just keep staring at reception, so in the reception area, you have a notice board or any other that specify your company mission, goals, and company outing photos. So it looks more interesting & they can easily understand your company culture. It is one of the most important things is that invest more in that area that would gather more traffic like reception, lobbies and employee workstations. So the design should be modern & be looking more impressive. Functionality and technology should be integrated into to furniture. 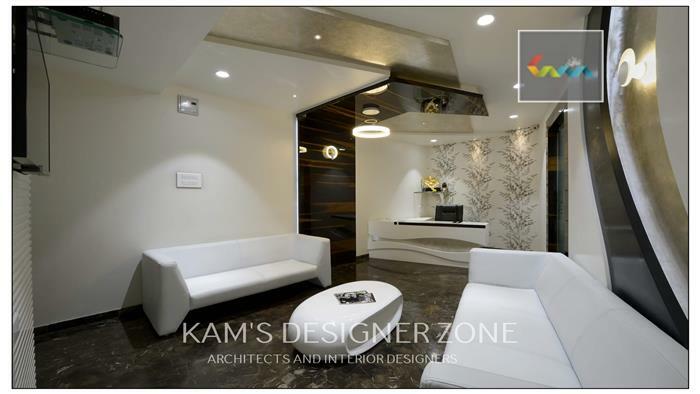 Make your office reception area more impressive with an interior designer in Pune which will bring you more business & employees are proud of their company.